As noted earlier, Terence Lee was appointed as the first Professor of Psychology and Head of Department at Surrey, and both his research interests and approach shaped the Department for the coming decades. After serving in the Fleet Air Arm in the latter stages of the Second World War, Terence gained admission to Magdalene College, Cambridge, completing a bachelor’s degree in Moral Sciences (Experimental Psychology) in 1949. He initially intended to work on his doctorate in industrial psychology, but his professor, Sir Frederick Bartlett, had been approached by the Labour government to undertake research for its radical social policies. In contrast to the uniform and soul-less ribbon development of the 1930’s, the Government wanted to build ‘Neighbourhood Units’ and ‘New Towns’. Bartlett asked his young doctoral student to “put down some ideas” – ideas which ultimately led to a PhD (1954) which not only forged a relationship between social and cognitive psychology, and to the development of the concept of ‘socio-spatial schemata’ (Lee, 1968), but was also the first PhD in the UK, if not Europe, in environmental psychology. For Terence, socio-spatial schemata not only provided an insight into people’s inner representations of space and place, but these in turn provided templates for the design of urban spaces. As Terence used to say, his work was about as far from the orthodoxy of early 1950’s Cambridge psychology research as one could get, dominated at the time by the ‘psychology as natural science’ paradigm – the tachistoscope and memory drum of the experimental laboratory. Terence was subsequently appointed to positions at Exeter and Dundee universities, before coming to Surrey, where he continued his research integrating psychology and environmental issues of relevance to policy makers such as the educational effect of bussing children to school. The significance of Terence’s work for the Department was threefold. First Terence was arguably the first true environmental psychologist in the UK and, having become Head of Department at Surrey, he gathered around him most of the leading environmental psychologists in the country, thereby establishing Surrey’s pre-eminent international reputation in this area. Second, because of the nature of his research and interests, this laid the foundation for one of the most enduring facets of Surrey’s identity and reputation, its emphasis (across a number of sub-disciplinary areas) on applied and policy-oriented research for government and industry. And third, by extension, he saw that government and industry were largely untapped sources of research funding, especially by psychologists. So in the 1980s and later, Surrey Psychology’s research income from non-Research Councils was probably the highest of any psychology department in the country. Within a few years of his appointment as Head of Department in 1971, Terence made several crucial appointments which established the culture and image of the Department that was to persist for several decades. These staff included David Canter, Lionel Haward, Harry McGurk, Ian Davies, and a little later, Glynis Breakwell – each representing different streams of psychology that were to grow into significant areas of research and teaching activity. Alongside each of these were other members of staff who helped build the research reputation of one of the UKs youngest psychology departments. Because of Terence’s own research interests, it was perhaps not surprising that many of his first appointments were psychologists who could see the advantages of working outside as well as inside the laboratory, especially when undertaking research that would be ‘useful and useable’ (Solesbury, 2001) for policy-makers and real-world application. Since Terence Lee was appointed the first Head of Department, there have been seven further Heads of Department and one Head of School. In 2016, the University saw yet another re-organisation and the department was mutated into a School of Psychology having moved from the Faculty of Arts and Human Sciences to the Faculty of Health and Medical Sciences (FHMS). 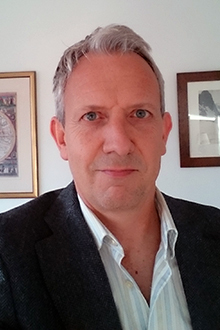 Professor Derek Moore, who was previously Director of the Institute for Research in Child Development at the University of East London, moved to Guildford to take up the post as the Head of the School of Psychology. Derek had trained at the Institute of Psychiatry, Kings (MSc Biostatistics), University College, London (PhD, Psychology) and was a researcher at the MRC Child Psychiatry Unit, Institute of Psychiatry; the Developmental Psychopathology Research Unit, University College London; the Centre for Human Development and Learning, Open University before becoming a Lecturer, Reader and Professor at the university of East London. Although now a School of Psychology, it was decided to create two sub-divisions, the Department of Psychological Sciences, headed by Paul Sowden, and the Department of Psychological Intervention, led by Mary John. While never the Head of Department, this list would be incomplete without the inclusion of Nick Emler, who moved to Surrey in 2002 and was appointed Dean of the Faculty of Arts and Human Sciences until August 2010. Lee, T. (1968). Urban neighbourhood as a socio-spatial schema. Human Relations, 21(3), 241–267.